Welcome to February's Maximize Your Money Q&A! During the event, expert financial advisors will answer questions across an array of personal finance topics. And, since it's tax season, we'll be focused especially on tax prep and filing. Good morning and welcome to February's Maximize Your Money chat. Let's give everyone a few more minutes to get logged in. Good morning, and welcome! For the next 8 hours, NAPFA planners will be on hand to answer your questions. 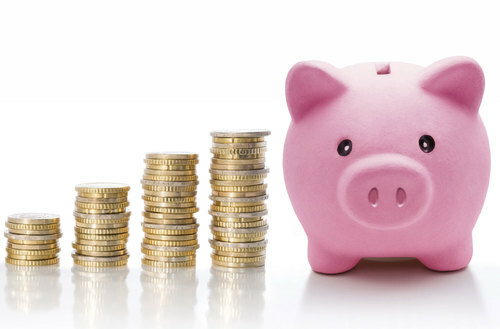 You can find a Fee-Only financial planner in your area at www.NAPFA.org. With is this morning are NAPFA advisers Bonnie Sewell, Rob Schmansky, Frank Boucher and Missie Beach. Thank you all for being here! It's officially tax season, and with that comes loads of questions. We're excited to answer any questions you have about tax prep, filing your taxes, or any other personal finance concerns. Here we go! Freelancer. Wish to open SIMPLE IRA but too late for tax year 2015. Have to open SEP instead (in March 2016). For tax year 2016, I plan to convert said SEP to Roth (in March 2017), make regular Roth contribution, and open SIMPLE IRA. Can do? Won't be able to participate in live session. Will check answers afterwards. Thank you all very much. www.kiplinger.comIf you have freelance income, you can make tax-deductible contributions to a solo 401(k) of $17,500 plus 20% of net self-employment income. SillyMe, I suppose you can convert the SEP in 2017 if you expect income to be down in 2017. I find the SIMPLE's have largely lost a lot of value with the expansion of low-cost Solo 401(k)'s. You may also look into those plans, especially since you can contribute to a Roth 401(k) if you think that is more beneficial than the pre-tax contributions. You may also be able to convert those contributions within the 401(k), again, if it makes sense from a tax planning perspective. www.kiplinger.comEven freelancers doing work on the side can contribute to a solo 401(k) or a Simplifed Employee Pension. Yes, I'd agree with Robert's comment about looking into a Solo 401(k) plan. These are great alternatives for self-employed people. Sillyme, I agree with Robert - the gymnastics you describe below will either involve a good bit of administrative work on your end or with an advisor (charges may add up) - I would investigate the very good individual 401(k) options today. 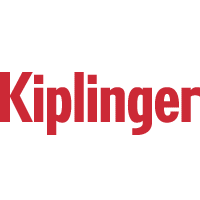 www.kiplinger.comMost self-employed retirement plans allow only tax-deductible contributions. A solo 401(k) can be more flexible. Good Morning. We have an annual income of $110M and six more years to work, if able. Total retirement assets are $340M. 60% in cash reserves,16% inbonds and 24% in stocks. Plan on adding at least 32M per year to 403s/IRA. Have dividend,midcap,international and large cap. What do you think of VTSAX total index? I am trying to increase my stock percentage since we have 6 to 8 years before I would need it. Was going to move $10M from balanced index to total stock index. Good morning Jim S, Congratulations on your savings! It's helpful to know what your expected spending looks like in retirement and to understand your risk profile (risk tolerance, risk capacity and risk required). From your post, you appear very conservative, possibly to the point of losing out to eventual inflation - that said, I like VTSAX for low cost broad exposure to the entire US stock market. Good morning, Jim S. Your portfolio is extremely conservative with 60% cash and 16% in fixed income. I agree with your decision to move more to equities. Without knowing your retirement needs (living expenses), it's hard to know what your asset allocation should be, but it does sound like you are being more conservative than you should be at this point in your life. I can't comment on a specific fund, but you should add exposure to equities. My wife and I have 10 investment accounts. Seven taxable ones are a SARSEP, three large cap growth mutual funds, one international stock fund, an Ameritrade trading account, and a broker managed stock and bond account. Three Roth IRA's are a mid cap mutual fund, Ameritrade trading account, and a broker managed stock and bond account. According to retirement calculators, our retirement goal will be met if we make IRA investments of $6500 each for the next five years. House is paid for. Question #1: Is investing in a Health Care index fund thru a Roth IRA (or total stock market, or energy sector ETF) a wise choice at this time? Question #2: The international stock fund has performed poorly over the past 21 years. Broker managed funds have done poorly too. Should some poor performers be sold, pay the taxes and convert to Roth IRA's? (We are not high income earners.) THANK YOU! Jim S - The total index is ok but without knowing more about you, I think your overall mix is too conservative. you are at the perfect stage in your life to sit with a fee only planner and map out a strategy. If there is anything 'wrong" you have time to correct it. For what it is worth, I like Vanguard funds and I like Vanguard index funds for domestic stocks. Prefer to suggest managed funds with fixed income and international. Jim S, like the others, I think you face a lot of risk in having to much not only in your portfolio but I'm guessing also in Social Security or pensions that won't keep up with inflation. Consider how safe your funds really are by being so tied to the dollar over the coming decades. Keep in mind what a dollar has been has changed every 50-100 years. We're due during our lifetimes! I think you can be safe and diversified by investing a little more, and I recommend more diversity than just large US stocks, but it's a start. Thank you all. I am trying to be more aggressive with future contributions, since I have a buffer with the reserves. What do you folks think of TIPS funds? Download our Periodic Table of Investment returns. A graphical depiction of annual returns across various asset classes. - it sounds a bit like some of the investment decisions are in isolation vs inside a financial plan as the navigation tool to understand how each decision affects the probabilities of reaching the goals you and your wife care most about. Truly, sitting down with a fee-only planner may answer these and other questions as well as get that plan in place for you to use as other issues come up - these are not the doorstop plans of many years ago, these are online, scenario, change as you go, stress test, etc. plans that are vibrant helpful tools. David - your investment life is very complicated and unnecessarily so in my opinion. Question #1 I don't care for sector funds and prefer broader index funds. ETF's are fine for taxable accounts but I don't see much value in retirement accounts. Question # 2 - I think international exposure is good in relatively small doses. I'm not sure what you mean by "they haven't done well" but I agree that managed funds have not been able to outperform the indexes. I would like to see you do two things. 1) stay away from on line retirement calculators - Many of them are deeply flawed and they may be ok for younger investors but not those approaching retirement. 2) look at you investments in a macro sense and coordinate them with one another - starting with an asset allocation that is appropriate for you. Finally, Yes, I do suggest you spend some time with a professional. Retirement planning is not a do it yourself project and you want to make sure you do it right. Can you provide the options relative to how I can contribute to my IRA - I recently retired, but exercised some stock options and received a W2 from my company - I have rolled my 401k to a regular IRA - can I add to this based on the W2 and if so, what is the maximum I can contribute. I am 57 years old. Also, I am self -employed and perform some consulting work and receive a 1099. Can I set up a simple IRA and if so, what is the maximum I can contribute there. Hi David. Wow! Congrats for being able to track all of those individual accounts! First off, I'd recommend consolidating those accounts with a discount retail broker, so you can more easily see the "big" picture. A fee-only planner could set you up with one custodian to get all of these investments under control. You want your most tax inefficient assets in your IRAs. If you have large losses in your taxable accounts, you might want to harvest those losses and use $3k of losses per year against ordinary income. My question for you is how do all of these assets fit into your overall asset allocation? I think you need to look at a long-term cash flow projection based on your current asset allocation. The best way to do this is with a fee-only advisor. Looking at funds and ETFs in isolation and using online calculations to base your future retirement plans on can be dangerous. www.kiplinger.comMy wife is retired and has a pension. Can she still contribute to her Roth IRA? She doesn't work at all anymore. I work part-time, earning about $22,000 per year, and have my own Roth IRA. GJ - If you retired in 2015, you are finished with your 401(k) contributions. You may be able to contribute $6500 to an IRA but it may or may not be deductible depending on your 2015 income. David, the question you have to ask on "poor performers" is compared to what? If your international stocks underperformed versus benchmarks, then sure, I would wonder why. If you're looking at international stocks underperforming over any time frame versus domestic, I think you may be trying to time markets. There have been decades that the US outperformed, and decades it underperformed. Going back the best I can tell is a good company is a good company wherever it is located. Going forward the best I can tell is more companies are moving overseas, more growth is occurring there, and you want to have allocations there as well. Be careful of trying to time markets, countries and sectors, it's a losing game. GJ- Sorry I hit the enter key too soon . For self -employment in 2016, you can do an IRA, a simple IRA, A SEP, or even a solo 401(k). You have lots of options and the amount you will be able to contribute will depend on your net self employment income. A tax professional will be able to walk you through your options. GJ, your question isn't as simple as it appears - what is the tax location of your other accounts as you get closer to retirement? In other words what else is in the picture? Is there a taxable account from which to draw in retirement? Has anyone done a projection of your taxes in retirement to see which tax-deferred accounts might be best? GJ - I'd recommend an individual 401k plan over a SIMPLE IRA. An individual 401k plan allows a higher contribution than a SIMPLE. 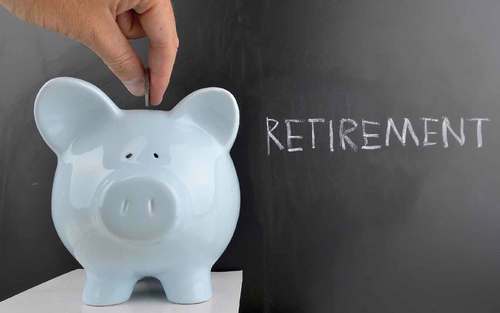 Check with your CPA to find the best tax-deferred retirement plan for your situation. SEP IRA question. I already max out my 401k at work, which includes a catch-up contribution. However, I also earn 1099 income from an outside board position. Can I open up a SEP IRA for the 1099 income? Are board fees considered freelance? If so, what is the max amount I could fund into a SEP IRA? GJ, I too hit send too quickly - sorry - another question is what tax choices you made on the execution of your stock options that showed up in your W-2. We like to understand your overall tax/financial picture to advise on where 'new' additions would best go. GJ - like Frank mentioned you have a lot of options, and you may even be talking about a situation where you don't receive a deduction for your IRA. If you have a spouse who isn't covered under a plan, they may have an option. You might consider a Roth IRA, or a Roth 401(k) if your income is low. Or, it may be time to do conversions before pensions and SS start. In other words... I think you need to sit down and cover all of the facts with an advisor who does income tax planning. It's too complex to begin to understand what may be in your interest here. www.kiplinger.comWhere should I save for retirement after I've maxed out my 401(k) plan and Roth IRA? Could someone explain the different costs or fees associated with the purchase and selling of open, closed, or no-load funds? Scott, you mentioned maxing out your 401(k). Is that the $18,000 ($24,000) limit? Or the $53,000 total limit for all contributions to all plans? You may not be eligible for more retirement savings without a pension plan if you are speaking of the $53,000 limit. Is a Charitable Remainder Unitrust (CRUT) or Charitable Lead Trust (CLT) the best opitons for lowering taxes from taxable investment income and withdrawals from IRA accounts? Which one is better? Retired at 64, with a pension to start in two years and Social Security at 70, from a tax perspective, is it better to continue to reinvest dividend income ($35k) or receive proceeds if the income is not needed? RA- Funds are redeemed and not sold. A no load fund is redeemed with no cast. Front loaded funds are also redeemed without cost. Back loaded funds will incur a cost .I don't like the title but 'Mutual Funds for Dummies" is a great source. Barbara- if you're trying to get money out of an IRA and minimize your taxes (and are at least 70 1/2), you have the ability to give up to $100k per year from your IRA to a qualified charity. This counts towards your RMD. This is a temporary tax law that is always up for extension at the last minute. Barbara, the question to reinvest or not is one I look at in terms of income like you have, but also in terms of overall investment strategy. If you pay fees to buy funds, it's easier to reinvest if you don't need it. If you don't, then it doesn't matter. Sell when you need funds from the part of the portfolio that is most appropriate. From a tax perspective it makes no difference up front. You're in a place where you have many more tax decisions that are far more important, like should you be starting withdrawals from IRAs or converting to Roth prior to seeing your income rise again in the future. All of that requires sitting down and crunching the numbers. Barbara - If the dividends are in your retirement account, probably the best thing to do is let them reinvest if you don't need the income now. If they are in a taxable account you could reinvest them or spend them or invest them someplace else. Regardless, you will be taxed on them. If you are retired and you have no income needs and you are receiving minimal income, this might present an opportunity to convert some of your retirement funds to Roth IRA's. Have a financial planner or a tax pro run some numbers for you.